Your habits impact your physical health. When you practice healthy habits, your body will be in good shape. On the other hand, when you do not quit and continue your bad vices, your body will degenerate faster than normal. You should revamp your ways and stop your unhealthy habits. Follow these tips by Home Health Preferred, Inc. to keep your heart’s functioning at its optimum level. Insufficient sleep will put your heart at risk to various cardiovascular diseases and other heart-related illnesses. It is through sleeping that your bodies and minds can take a good and quality rest. This habit also boosts biological processes in your body while maintaining blood pressure levels at a healthy range. Get away from second-hand smoke. The chemicals emitted from cigarettes inhaled by passersby result to plaque buildup in the arteries. When this plaque becomes bigger, blood does not flow freely through the arteries and your heart gets overworked. Once your heart becomes too exhausted, this might lead to a heart attack or other heart diseases. We should therefore stay away from smoking zones or quit smoking if you have this unhealthy habit. Gaining weight increases the risk of death due to heart-related issues. Meanwhile, losing weight can do magic to your heart. By losing some pounds, your body could produce energy more efficiently and this can even lead to a better quality of sleep. Thus, when you hire skilled nursing in Colorado to take care of you, you should ask them for help in monitoring your weight. Eating fiber-rich food like cereal, oatmeal, barley, brown rice, spinach, and broccoli fosters your heart’s health. Fiber fills you up instantly so you would eat less. It also helps you maintain healthy blood pressure and cholesterol levels. Stress is a silent killer. When you feel stressed all the time, you lack the enthusiasm to practice a healthy lifestyle. Your heart gets easily exhausted when you feel sad, even though you usually do nothing when you are depressed. 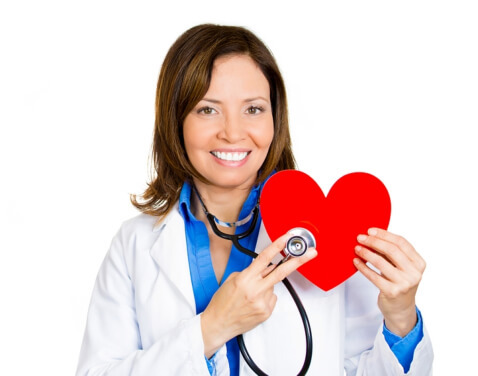 Hence, every caregiver providing Long-Term Care in Denver, Colorado encourages you to live a happy life in order to stay away from heart illness-causing stress. Cut down on salt intake. Less salt in the food you eat helps in maintaining normal blood pressure levels. Consequently, when you eat too much salt, your body retains more water. This extra water stored in your system puts a strain in your kidneys, arteries, and heart. It can also lead to high blood pressure. By cutting down on your salt intake, you lessen your risk of developing a heart disease. Do not take your heart for granted. Continue to keep it pumping and beating so you can continue to live a healthy and active life. This entry was posted in Elderly Care and tagged Healthy Lifestyle, Skilled Nursing, Sleep, Stress. Bookmark the permalink.